Please note, this course does not grant certification in ambulatory care nursing. The Review Course offers 7.9 contact hours*, and over seven hours of content. 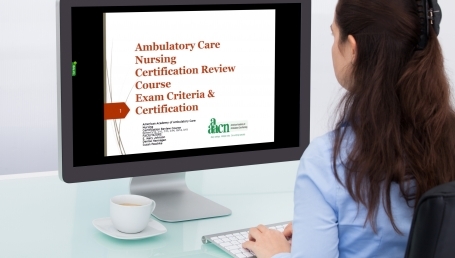 A printable PDF Ambulatory Care Nursing Certification Review Course Syllabus is included, along with Power Point slides. *Contact hours are earned in the Online Library by completing a session evaluation after reviewing the material.